When you read about the Plague, it’s usually in history books. You probably know that this deadly disease, known as the “Black Death” in the middle ages, killed millions; you might not know, however, that Plague epidemics still occur today. 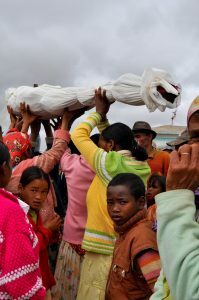 An outbreak of Plague in Madagascar began in August 2017 and has expanded rapidly, with about two-thirds of cases transmitted person-to-person as Pneumonic Plague, the most dangerous form of the disease. Although Plague is not uncommonly seen in rural parts of the country, the death toll of 124 as of October 23rd is the highest in many years. It’s thought that there are a few hundred cases every year in the island nation, but there have been 1200 reported just since August. More than half of cases have been recorded in the capital of Antananarivo and the main port of Toamasina, the largest cities in the country. Interestingly, Plague had been under control in Madagascar due to measures enacted in the 1950s. These measures included improved hygiene, better public housing, pesticides, vaccination campaigns, and of course, antibiotics. 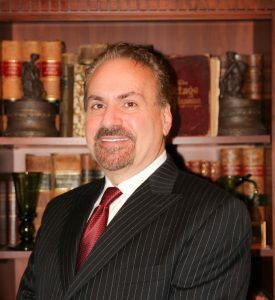 Efforts have since broken down and cases have been on the rise. Some strange local customs may be involved, including a unique tradition called “famadihana” sometimes called “dancing with the dead,” or “the turning of the bones”. The bodies of dead ancestors are dug up and wrapped in fresh cloth. Then the family dances with the corpses before re-burying the remains. The tradition is practiced in Madagascar’s central region, an area currently in the epidemic zone. As you might imagine, handling bodies of pneumonic Plague victims from the grave is risky business. The bacteria seems to persist when buried, and can still be passed to others for an extended period. We may have all heard of it, but what, really is the Plague? 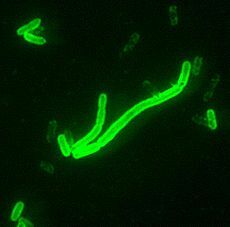 Plague is a highly infectious disease caused by the bacteria Yersinia Pestis. This bacterium is found in fleas that infest rats and other rodents. The infection is transmitted from animal to animal (or human) when infected fleas jump on and bite a new host. Once established, different forms of plague can be spread by air droplets from coughs, in the blood, or even by contaminated water or food. Although you learned about the “Black Death” in the 14th century AD, there have been various Plague epidemics over the ages. The Justinian Plague in 541 AD killed 25 million people in a few years. In modern times, a Plague outbreak in 1894 in Hong Kong killed 10 million over the 20 years. It was during this epidemic that the Yersinia Pestis was first identified as the culprit from the fleas in rats. In the last century, Plague outbreaks have been reported in India, Vietnam, and sub-Saharan Africa. Occasional cases are even reported in the Western part of the United States. Bubonic plague: Bubonic plague, the most common type, causes fever, chills, and other flu-like symptoms before it infects lymph nodes. An accumulation of bacteria, blood, and pus in these structures gives rise to painful, swollen lumps called “buboes”. Buboes are blackish in color and may be seen in the armpits, groin, and neck. Other symptoms include vomiting of blood, gastrointestinal issues, breathing difficulty, seizures, and gangrene (loss of circulation) to the extremities such as toes, fingers, nose, and lips. Untreated, delirium and coma eventually occur, and death ensues in a week to ten days. Pneumonic plague: Pneumonic plague infects the lungs and can develop in those with bubonic plague or who breathe in infected air droplets. The patient begins to cough up blood (also known as “hemoptysis”) and develops chest pain and shortness of breath. If untreated, death occurs in less than 48 hours. Septicemic plague: Bacteria may pass from buboes into the bloodstream, or may directly enter the body through an open wound. Besides fever and other general symptoms, a depletion in blood clotting factors may cause spontaneous and unstoppable bleeding into the skin, lungs, kidneys, and other organs. Untreated plague can be rapidly fatal, so early diagnosis and treatment is essential for survival and reduction of complications. Bubonic plague isn’t hard to diagnose from the presence of buboes. Pneumonic Plague is different, however. Patient Zero in the Madagascar epidemic was a 31 year old man on a crowded minibus who was originally thought to have malaria. In long-term survival, a high index of suspicion is important. The fact that Plague is caused by bacteria makes it susceptible to the early use of certain medicines. Antibiotics combined with supportive therapy like hydration are effective against plague if patients are diagnosed in time. Doxycycline, Tetracycline, or Ciprofloxacin may be good choices for a seven-day course of therapy. Advising group members to take precautions against flea bites. Control fleas by applying an appropriate insecticide in dust or spray form. Taking care when handling animal carcasses. Avoiding unprotected contact with infected tissues (such as buboes), as well as coughs and sneezes of patients with pneumonic plague. Use gloves, masks, and aprons in the sick room. Isolating sick patients from common areas, such as places where food is prepared, so as not to infect others via air droplets. Ensuring safe burial practices and appropriate disposal of human waste. Eliminating rodents from areas where humans may frequently contact them. Vaccines have not been found to be very effective in preventing Plague outbreaks. 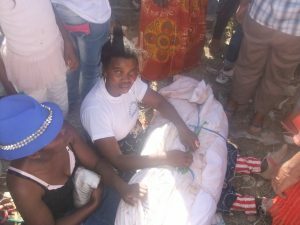 The government in Antananarivo has ruled against digging up bodies of plague victims. However, just like in West Africa during the Ebola epidemic, it’s hard to fight centuries-old traditions like the “Turning of the Bones”. Combine that with the difficulty of following contacts of infected individuals, and it’s likely that it will be a while before the epidemic subsides. Hospitals in the cities are at capacity, but there is good news: 780 individuals have been cured of their infection since August. Another bit of good news is that the global risk of a Plague pandemic is small. There isn’t a lot of air traffic to Madagascar from high-population Western cities. Most flights from the country go to neighboring islands. So far, the World Health Organization (WHO) isn’t recommending any travel restriction to the island nation. In spite of that, I wouldn’t be planning a long vacation anytime soon to Madagascar.